The Wheel of Life is a coaching tool that can be use to support clients to assess where they are now and then set goals and prioritise action. settings. If you think of the wheel of life like a pizza or a circle that you will divide into eight quadrants. Each quadrant represents a slice of your life. You can label each of the slices whatever you like but I am going to give you an example of the eight quadrants that are usually used for the wheel of life. Then you look at each quadrant and rate your satisfaction level with each area of your life. The first one is your physical environment. Usually that’s your home environment or your work environment. Rate how satisfied you are with that environment? 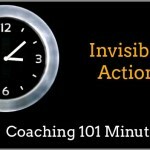 Do you need to improve anything in that home or work environment? Someone who scores low on the physical environment slice of their life might want coaching on de-cluttering their life or they might want to look at what it is in that environment that is not satisfactory, do they or can they move houses, move countries, improve their environment by personalising it or tidying it up …? The second quadrant is your career. Are you satisfied with your current job? Do you want to work more, work less or work differently? Is your job fulfilling? And often clients do come to coaches specifically seeking help with their career. The third quadrant finances and money. Do you have enough money now? Do you need more? Are you planning on retiring? Are you downsizing? Is money causing stress in your life? How can you manage money better? What does money represent for you and how much money do you actually need to do the things you want?. Can you work out a way to do achieve your goals with less money or differently? Finances and money is a whole area in your life around money that you may or may not need help with. The next slice is health. And this can be more than just being health and having life balance. You can look at weight loss coaching, fitness coaching and nutrition. Are you healthy enough? Or do you need help in that area? The fifth quadrant is around friends and family. Do you any have enough friends? Are they positive friends, or are they pulling you down? Do you have your family to help and support you or are you supporting them? Do you need help with parenting your children or with a difficult family or friendship relationship. The sixth life quadrant is your partner or your significant other. Do you have a partner or don’t you? Do you want a partner or don’t you? How is your relationship with your current partner? Can’t it be improve? Do you spend enough time together? Are you driving each other crazy? There can be a whole lot of coaching to do in this area. The seventh quadrant is around a personal growth (learning or spirituality). It’s up to you what you define as personal growth. Are you looking for spirituality in your life? Or do you like learning? Do you like to read? Do you like to learn few things all the time? Or you are happy with that quadrant? And the last slice of your life is fun and leisure and recreation. Do you make time to have fun in your life? Do you want to make more time for fun? Do you want to find out what leisure activities you would enjoy the most? What’s stopping you from having fun? So if you think of yourself as the pizza and all of those little quadrants as sections of your life, you need to rate each of those sections on a scale of zero to ten (0 – 10) in terms of how happy you are and how fulfilled you are for each of those quadroons. If you got a great career you might give yourself a 10. If you need to save more money or you got some debts on your finances you might give that a 5. Once you rated each of those quadrants you can visualize then on the wheel which areas of your life are low and which areas of your life are high and focus on the low areas of your life first. You may find that by improving one area, the other area might improve as well. If you don’t have a job then your finance quadrant might also be low and your relationship with your spouse might be tense as well and you may not be seeing friends nor doing leisure activities because of the luck of money. So if you focus on getting a job then a lot of other quadrants might improve at the same time. Conversely, if you love your job, but you work too hard and too much then your friendship might suffer, and your family might suffer, and your health might suffer as well. 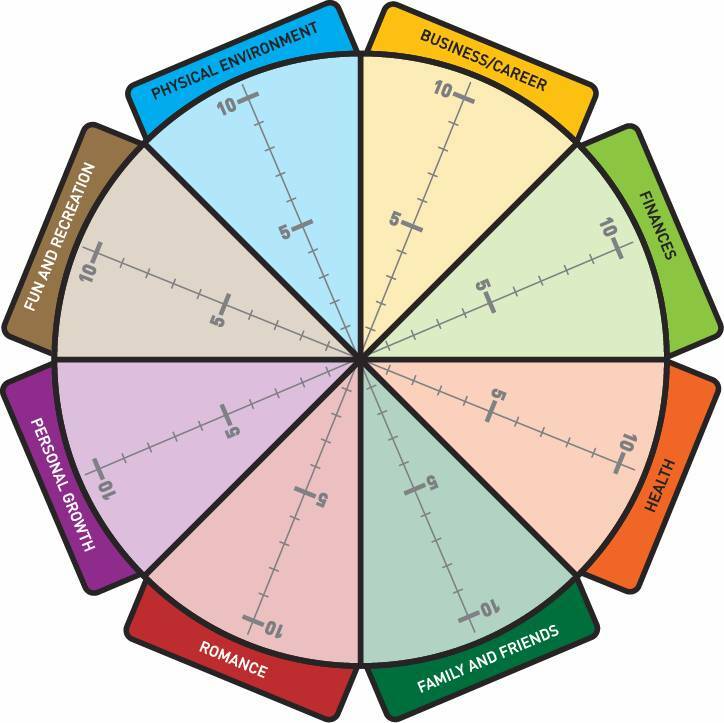 So the wheel of life is really about visualising where your life is at and then trying to get a balance in your life by focusing on the main area of wheels which are the lowest. As a coach the wheel of life exercise is really good to do on yourself as well periodically. Just too reset your focus, and for your own self-development, and also to have a look at your own life and how to balance to these over a period of time.